You can sign up for email messages here. You can adjust your preferences from the footer of any email. You can totally unsubscribe here. 1. 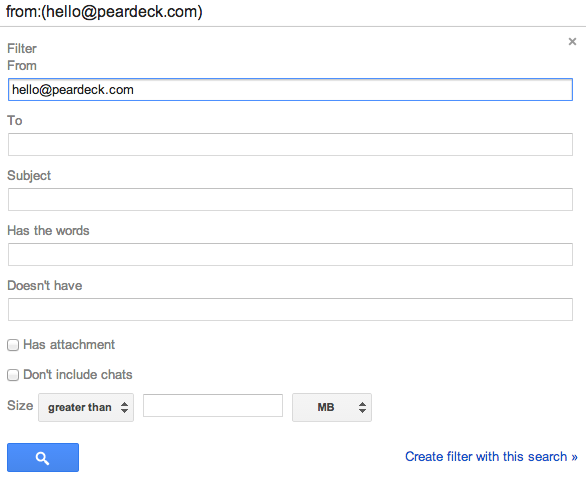 Search for a message from hello@peardeck.com and open any message. 2. 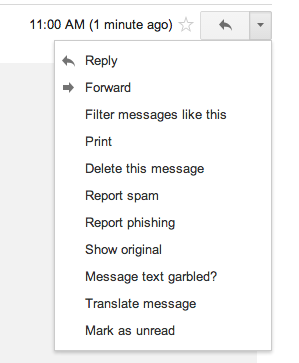 Once the messge is open, click the down arrow and select Filter messages like this. 4. 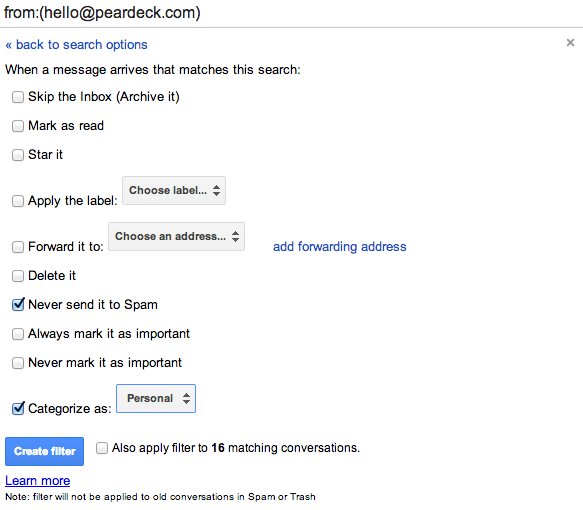 Check Never send it to Spam and Categorize as Personal to ensure that messages always arrive in your Primary inbox tab.